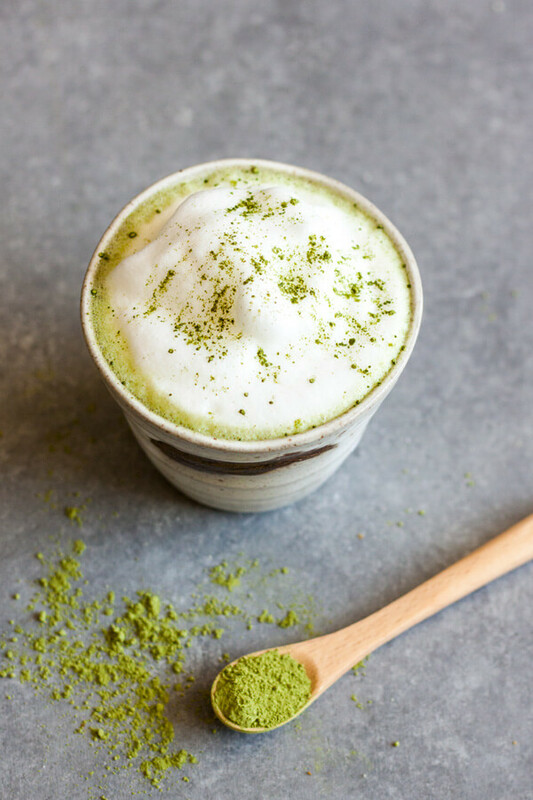 This easy Homemade Matcha Green Tea Latte recipe will have you enjoying your favorite hot drink in just 3 minutes. 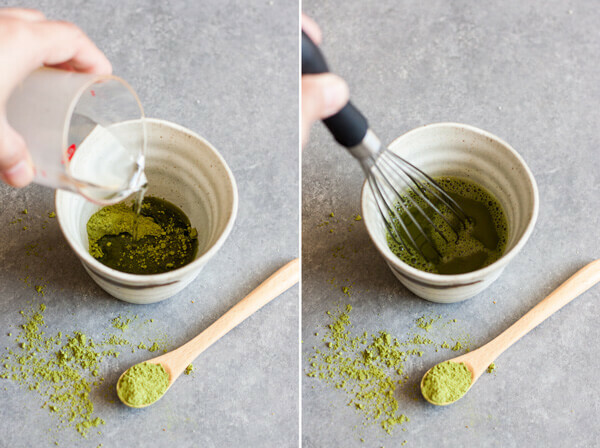 I’ve been baking with Matcha since I knew of Matcha, and I knew Matcha for a long time. But I have never made one single drink with Matcha powder. I’m a casual tea drinker, so I don’t own any special tea making equipment. 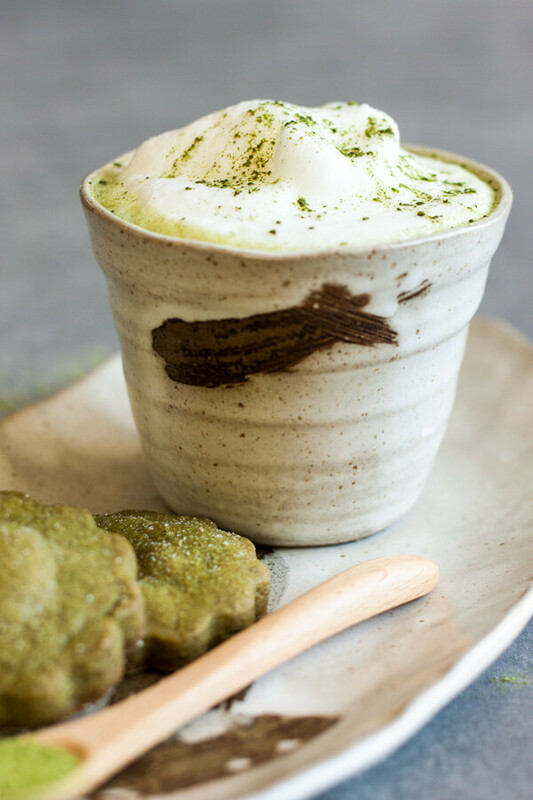 But you don’t need a traditional tea set to enjoy this Homemade Matcha Green Tea Latte. 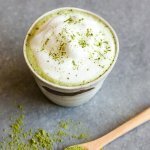 I can’t remember when Matcha Latte became so popular, but I can remember buying instant Match Latte once, big mistake! Let’s just say that stuff was less than palatable. I used my Nespresso milk frother for this recipe. But if you don’t have an electric milk frother/steamer or a steaming wand, simply heat the milk in the microwave for 1 minutes and whisk vigorously until foamy. Then pour hot milk over the hot tea mixture as directed. If you don’t drink regular milk, you can easily substitute any plant based milk that you enjoy daily for this recipe. I have also made this with almond cashew milk. 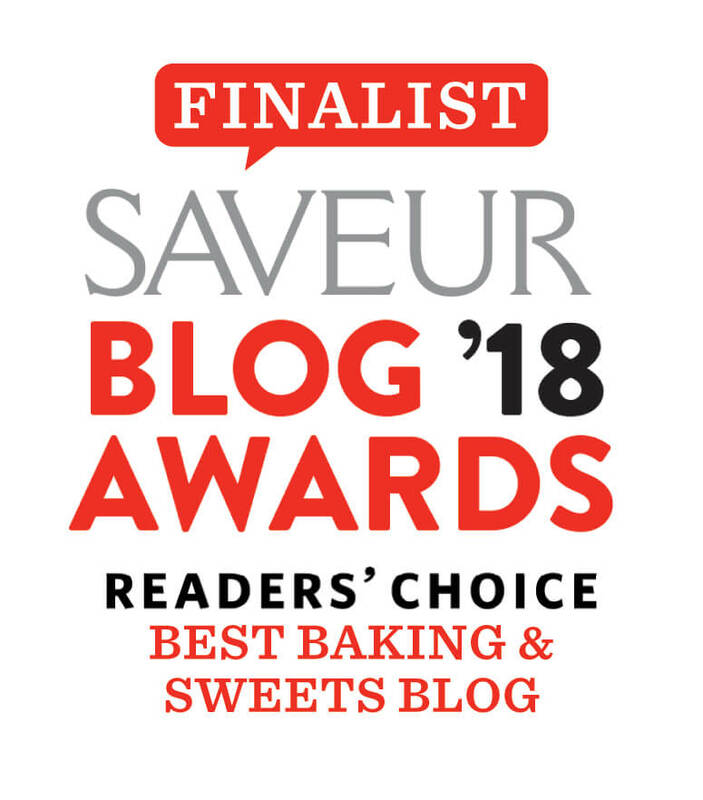 For sweetener, I always use raw sugar in my coffee so that’s what I used here, but feel free to substitute other type of sweetener to your taste. The best thing about making your own drink at home is you know exactly what you put in it. And you can control the amount of sweetener added to your drink, more or less depending on your palate. Whenever I order drinks at coffee shop or tea house, they tend to be on the sweeter side. But with my Homemade Matcha Green Tea Latte, my drink comes out exactly how I like it. 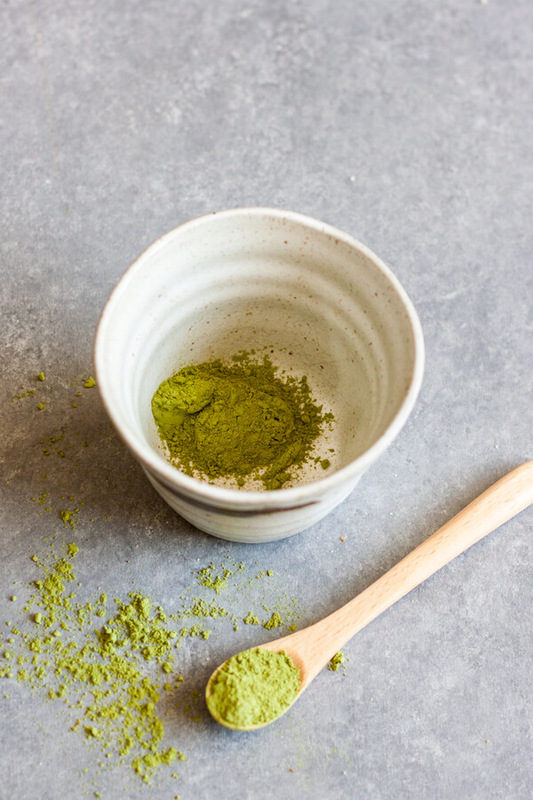 Add Match powder and boiling water to a tea cup or mug. Mix with a whisk until the Match powder is thoroughly suspended. Add raw sugar and whisk until dissolved. 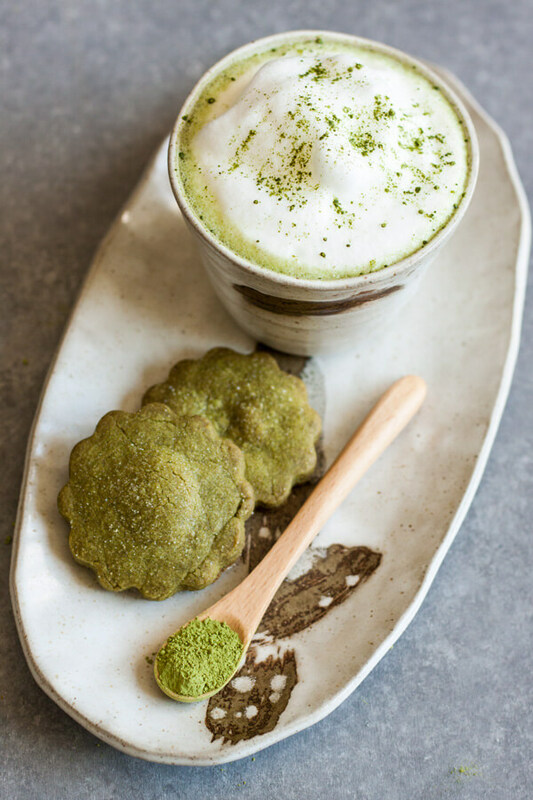 Top with steam milk, dust with extra Matcha powder and enjoy. 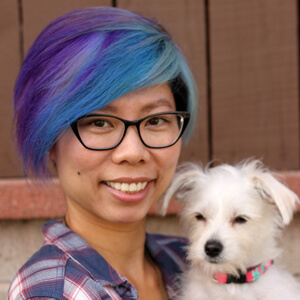 If you don’t have an electric milk frother/steamer or a steaming wand, simply heat the milk in the microwave for 1 minutes and whisk vigorously until foamy. Then pour hot milk over the hot tea mixture. I absolutely must try this. Yum! I made it!! Delicious!!! Loved it! I can practically taste it…with those cookies, too.